The theme this year is Friendship. 2018 Guidelines for the Quilt Challenge are below. 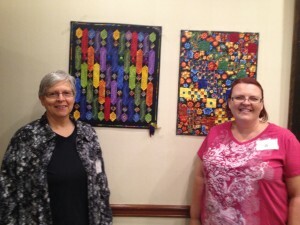 Quilt Challenge is for registered quilt camp participants only. Entry Form is included on the Registration Form for Camp. · The quilt must have a minimum perimeter of 48” (12” x 12”) and a maximum perimeter of 100” (25” x 25”). · FYI – These quilts will be displayed by putting pins through the quilts. 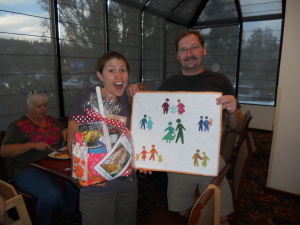 · Include a label with the quilters name, date, and title of the quilt. 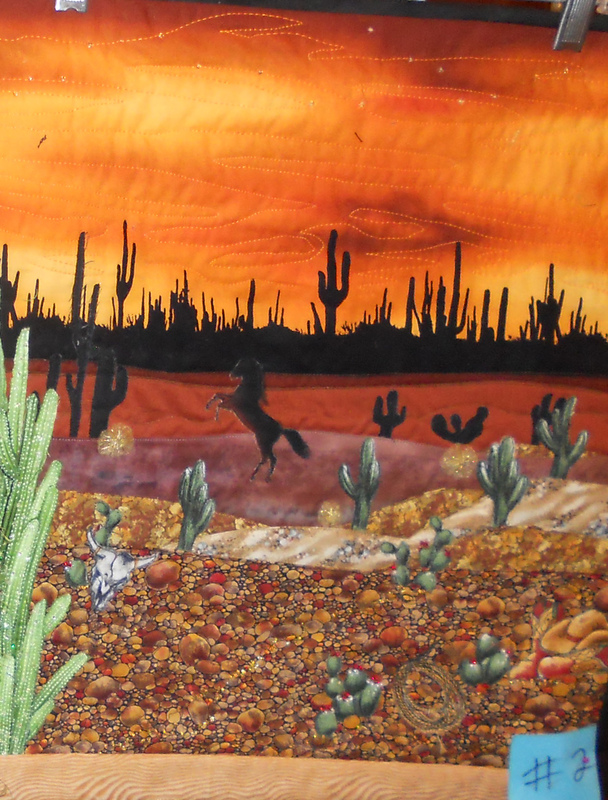 · The quilt does not have to be square, but must stay within the perimeter guidelines. 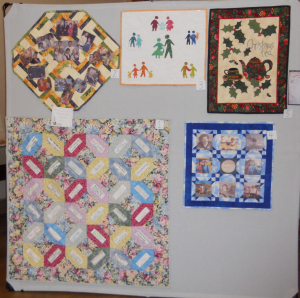 · These quilts will be judged by the camp participants. · Ballots will be in the registration packets. · Prizes will be awarded at the event on Saturday evening. · All submissions must be in good taste and suitable for family viewing. · There is no fee to enter. Fill out information on your registration form for the camp. 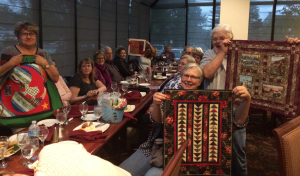 · Quilts will be received during Thursday morning registration June 28 8am-10am at Odegaard’s. 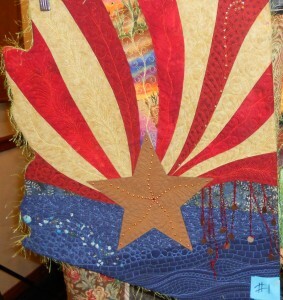 All quilts will be displayed by 2pm on Thursday, June 28. · Quilts need to be picked up after the event on Saturday, June 30. 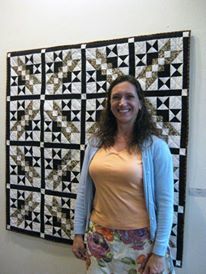 Gina with a quilt on display in the hotel restaurant. 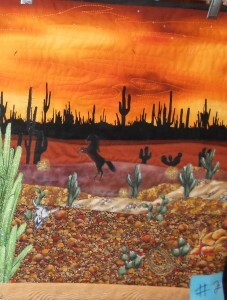 Another Challege Quilt entry from 2012.